Wells Plastics have a long tradition of contract manufacturing and have established an enviable reputation for commitment and technical support for our international contract client base. We have been at the forefront of many new material launches and have helped develop innovative production techniques to deliver high performance materials to the marketplace utilising a range of materials and processes. Linked with a state of the art compounding facility we consider ourselves excellent partners for any prospective customers. 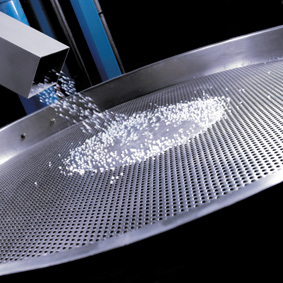 Wells have a proven track record in handling difficult materials, powders, liquids, high viscosity fluids and producing consistent high quality masterbatches and compounds for the polymer processing industry. Please contact Wells to discuss your exciting opportunity. Wells Plastics supports new client product development with a range of in house production and test facilities, for more sophisticated projects the laboratory facility is available for rental which includes supporting staff to maximise the chances of success. 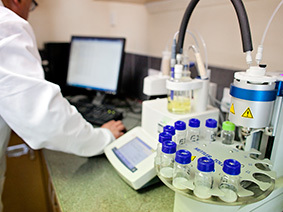 In addition to a laboratory compounding facility we have injection moulding and blown film capability for rapid prototyping and a range of analytical techniques to characterise materials and performance.